A well-known pizza delivery business were handing out perfect, hand-sized free slices for the whole week. All hail pizza! 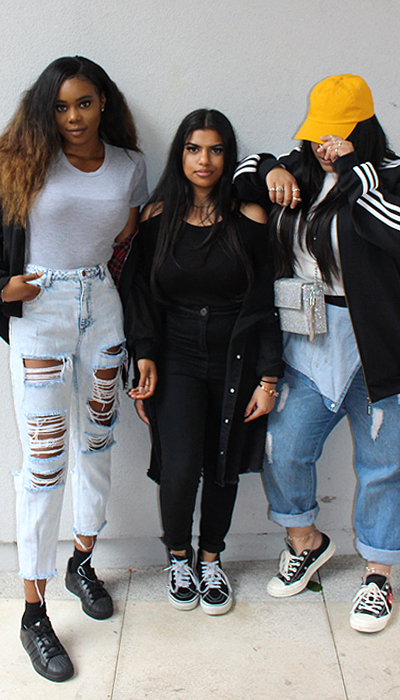 If you’re anything like us that means you ate for free for 5 days straight and then spent the weekend thinking about what you’d done. When it comes to eating pizza, we are all #CapableOfEverything. Fire-breathing, stilt-walking, the Uni had thought of it all this year! The party atmosphere was in full swing dawn to dusk. Anyone see how these clever ladies got off their stilts?! 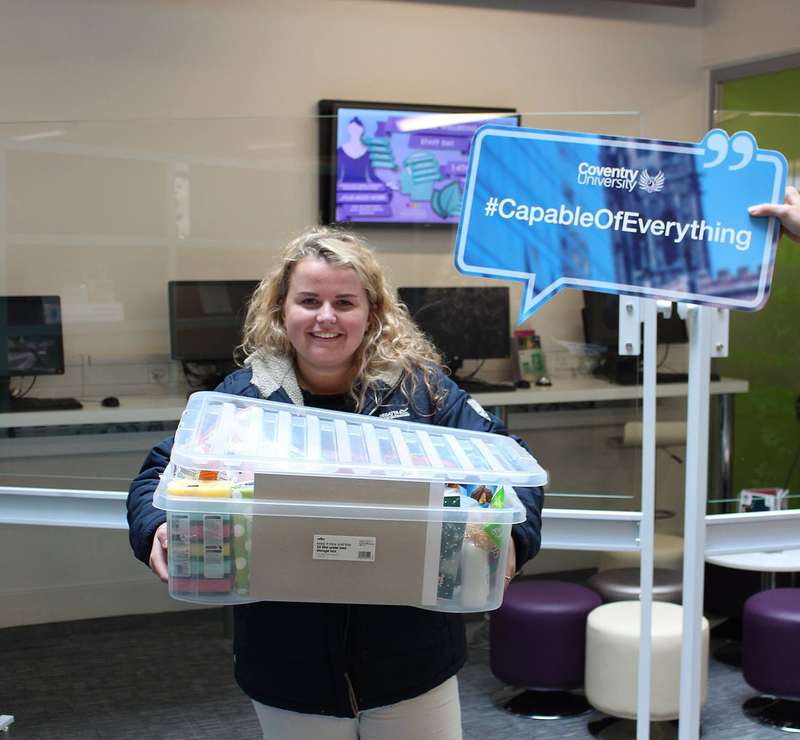 Did you take part in our hamper hunt? Loads of you followed the clues across our social media channels, with Maddie claiming the prize. Including Amazon and Nandos vouchers, a Cov Uni hoodie, and tonnes of essentials, this box of Freshers fun was worth over £70! 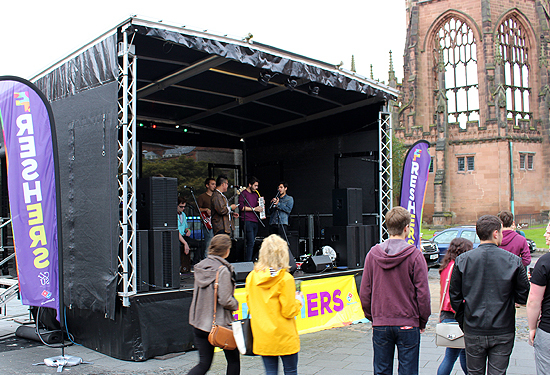 The Freshers stage did us proud through the rain. 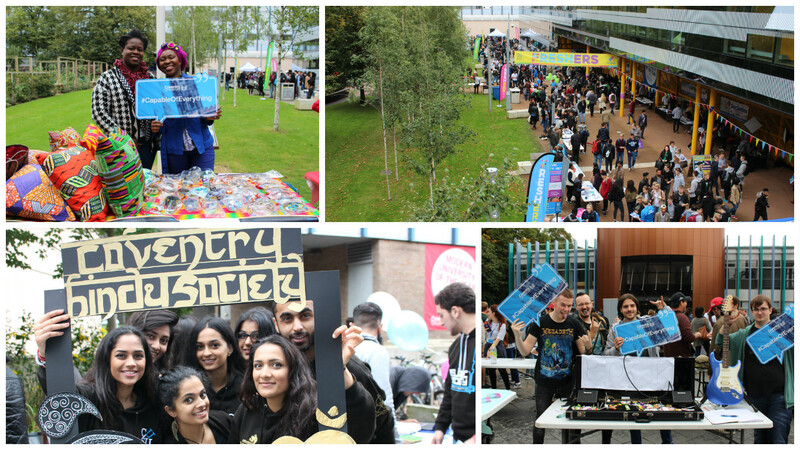 Many of Coventry’s talented musicians ensured there were beautiful sounds drifting across campus all week! 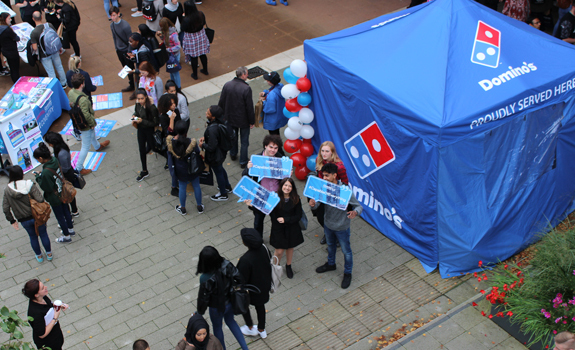 Did you make it to all the Freshers Fairs? Each one seemed to get busier and busier to us! 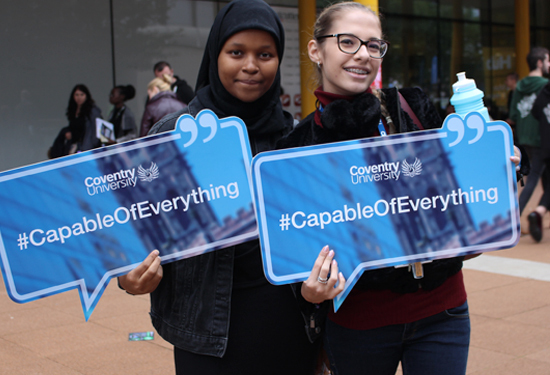 We loved meeting so many students, from Pokémon-ers to Rockers, there’s really something for everyone to get involved with at Coventry. So that was Coventry University Freshers 2016 in a blog shaped nutshell. We’d love to hear your highlights or suggestions in the comments.